Ahi, how I love you. And Kauai. Jerk lunch with beans, rice, and breadfruit in Saint Lucia. Freshly picked cherries in Provence, France. Ceviche in Panama City, Panama. Chefs at the oldest restaurant – Botín – in Madrid, Spain. Tusker beer in Arusha, Tanzania. 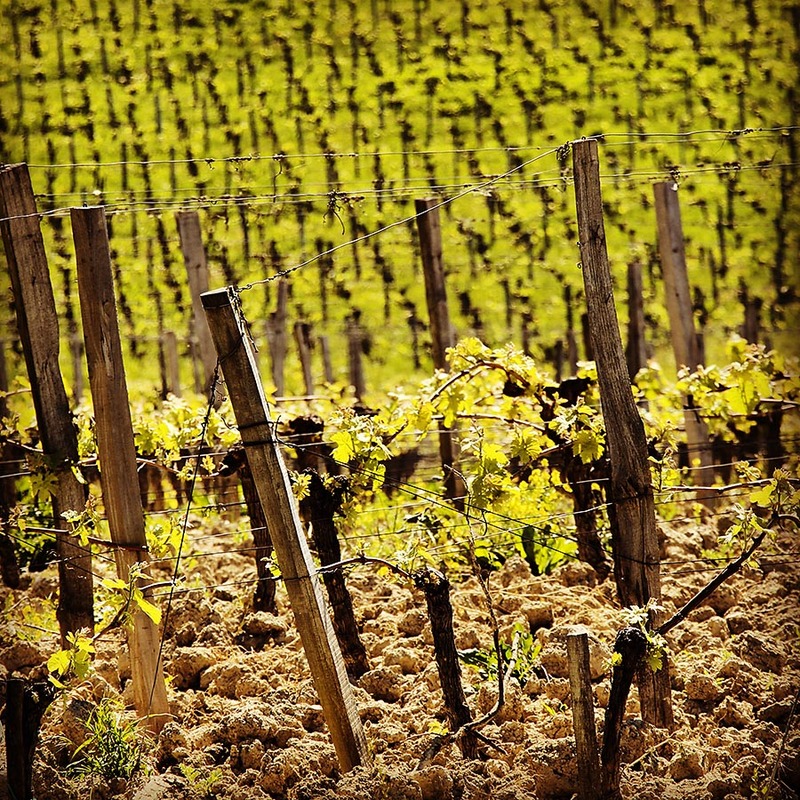 Spring vineyards in Saint Emilion, France. Lunch on the water in St. Ives, Cornwall, England. Meat pie and mushy peas, London, England. Seafood for dinner on Lizard Island, Australia. Mahi mahi burger, Lahaina, Maui. Hands of Stephane Gabart of my french heaven. Octopus salad, Aix en Provence, France. Nicoise olives ripening, Provence, France. 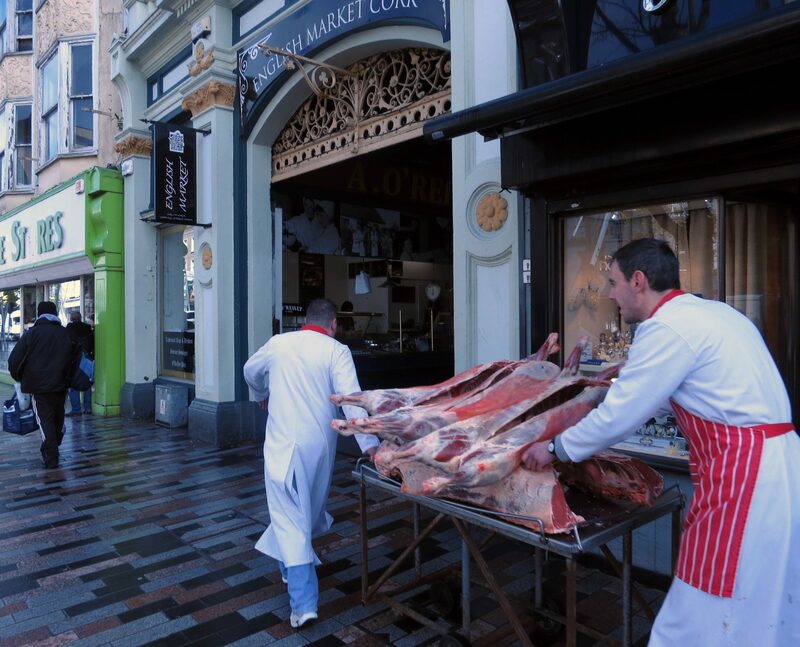 The English market in Cork, Ireland. 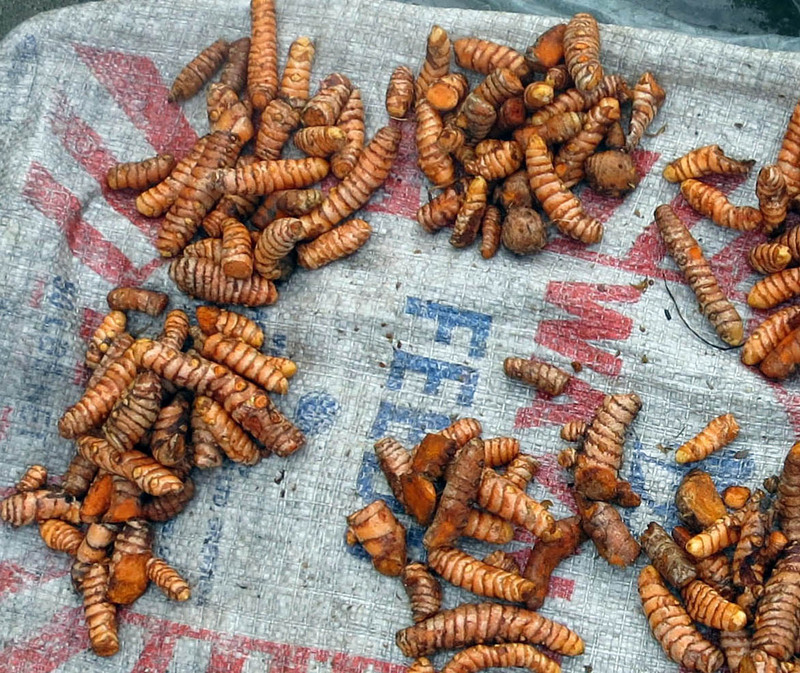 Fresh turmeric roots in Saint Lucia at the Saturday market in Castries. Olives served with cocktails, Boulbon, France. Colombian breakfast with chorizo, arepa, quibbe, deditos de queso, and patacones, in Cartagena. 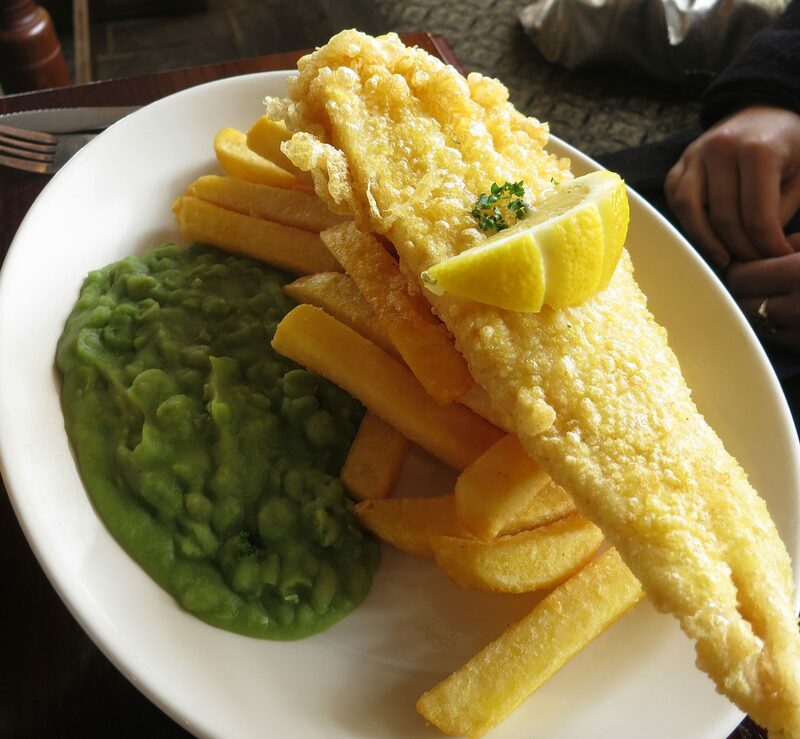 Proper fish, chips, and mushy peas at a pub in old Shanklin, Isle of Wight. Nuts at a Christmas Market in London, England. Butcher shop in Peniscola, Spain. Walking home with fresh baguettes, Libourne, France. Fresh nutmeg in Saint Lucia. Ugali as part of a meal in Kigali, Rwanda. Banoffee pie in Dublin, Ireland. Italian lunch in Vieux Nice, France. Rambutans at the Koloa market in Kauai, Hawaii. Market peaches in Nice, France. View from breakfast room in Cuenca, Spain. 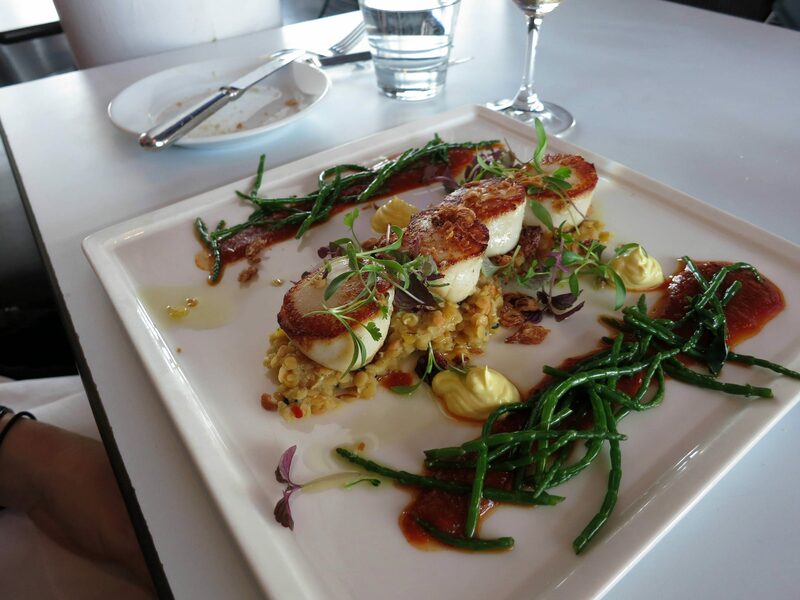 Scallops served with samphyre at XOXO restaurant in London, England. Overlooking the Gorges de Verdon, France. Amphora of seafood in Monterosso, Italy. Dessert after a tasting at Chateau Lynch-Bages, Paulliac, France. Picnic on the water in Roquebrune, France. Sea bream in Oban, Scotland. Lunch in Cap Ferret, France. Just kidding. This is a post card! thank you so much! that’s an honor coming from you!!! Wow; a journey round the world in food. Aren’t we lucky to have so much to taste and delight us? Ummm yes! And flowers to enjoy, as well! Thank you for stopping by! Olive Trees is one of my favorite trees. Did you know it can be submerged under 300 to 500 feet of water and after 1 year like that, can still be alive and produce fruit. Some varieties can live over 100 years. This is great your photo show of your food travels. You should start a TV cooking show of your own and possibly be the next Julia Child. Did you see this page on my blog… http://savorthefood.wordpress.com/tribute-to-famous-chefs/ ? Hi Mimi…your new girl again …Fidela…we have some of the oldest olive trees in the world [I think] in a village just 3 miles from here in Cyprus..they are just amazing. some are 200 years old!.must get a photo for you. I’ve seen them in Spain and in Italy, but unfortunately I’ve not been to Greece or Cypress… yet…..
Looks like I’ll be signing up for another great blog. How will I ever find time to read them all? P.S. Those raspberries are blackberries, although they look like raspberries when young. They grow wild throughout the UK and are great to eat. We were lucky to have a stash in the fields behind our farm when we lived there. This all looks amazing. Great photos!! Mind-blowing pictures!! :) Looks like you’ve travelled quite a bit…and to very, very exotic places too at that!! Looking forward to more posts from you!! Love, love, love this collection of photos. 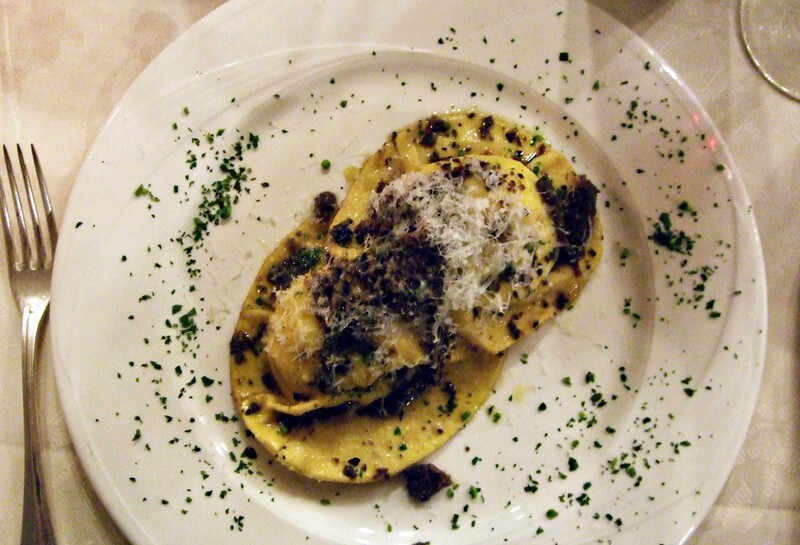 We had a very memorable meal in Monterosso, Cinque Terre as well . . . and stayed there for a few days. I think it is one of my all time favourite spots. It is so lovely there! The Cuenca spot looks heavenly! I adore Borough Market in London! It took us hours to find our hotel in the old section of Cuenca, but it was unbelievable once we found it, simply because of this view in the morning. I have even liked Borough Market on facebook just because it’s fun to see all of the photos and wish I were there!!! Strongly reminds me of places I visited in North India’s Himalayas… Imposs to find & very local but spectacularly beautiful. Thanks! Thanks for stopping by!!! Lovely photos!! Makes me want to go to each spot. I enjoyed your photos especially the view of Cuenca from your breakfast table. Lovely photos, Mimi! Glad to see you sampled plenty of Scottish fare on your travels, especially the seafood. oh yeah. I never passed up a chance to enjoy Scottish seafood! I’d never had bream or brill before!!! And the salmon……. Hi Chef Mimi, thanks for stopping by my blog and the follow. Loving this post. The little hole-in-the-wall in Spain is so dreamy! I stopping scrolling down when I got to that divine looking minestrone soup! Even more special…as I live in Dublin, any chance you remember the name of the restaurant? You bet I did! The soup was from the Rustic Stone! 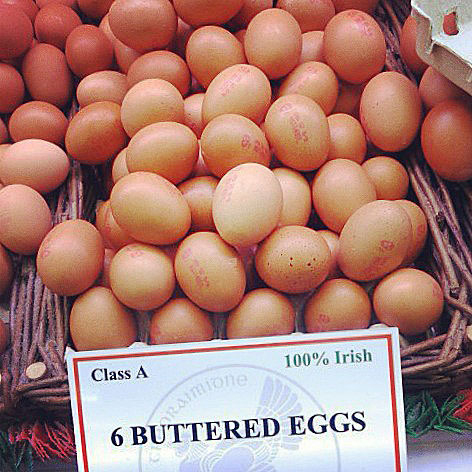 How they make buttered eggs ??? I think they’re just coated in butter! They’re traditional done that way for storage purposes. It makes the eggs stay fresher longer! I loved to see the pictures of St George’s Market in Belfast – we used to go there most weekends to look at the fresh fish when my son was little. A great place, haven’t seen fish like this since we moved to London! It was a beautiful market!!! Of course, you now have Borough Market….. The French crepe guy in Belfast, however, turned out to be the friend of the cousin of my favourite French writer – so beat that, London! These are wonderful–makes me want to hope in a plane. Especially seeing those olives on the tree. Thank you so much! Unfortunately, the reason I’ve been so many places is because I’m old!!! These photographs are really great! Beautiful photos! Also, I’d never seen fresh turmeric root before! I know! They look like worms!!! Great pictures! Food is definitely a good reason to travel the world. I loved the photo from the Breakfast room in Spain–it really speaks to me. It looked so fake, or like a painted mural! Thank you! I didn’t think it looked fake. It just seemed different than I imagined it would. Exquisite capture detailing the “early October” Bordeaux grapes nearly “exploding” on the vine! Imagining a divine vintage! All of your photos are absolutely beautiful! Wow you’ve been to some great places. Which one has been your favorite? I LOVE France. I can’t get enough of it. But we just went to Australia and New Zealand last fall – a dream trip. I love, LOVE all of these photos, they’re so inspiring! You’ve captured the various cultures so beautifully through the food, thanks for sharing these! Thank. You for the compliment! Its so amazing pics I must say.